Voter interest in the Chicago area was strong this Election Day. Both the Chicago Board of Elections and its suburban Cook County counterpart say turnout has been higher than in previous midterm elections. This follows an early voting period that set turnout records for both the city and suburbs. Polling places in the city closed at 7 p.m., with reports of many voters still in line which allowed them to cast a ballot. But as of the cut-off point, the Chicago Board of Elections was reporting a 53.4 percent turnout Tuesday—802,334 ballots cast—which does not include provisional ballots and vote by mail ballots which will be counted in the coming days. Of special interest for election officials was the millennial vote, which many feared would be low out of disinterest. As of 7 p.m., 162,042 voters ages 25 to 34 had voted in Chicago. That number is significant because the highest turnout age group is normally that of 55 to 64 year-olds. As the polls closed, 142,146 voters in the older age group had voted. “I think we’re seeing a pretty healthy turnout,” said Marisel Hernandez, chairwoman of the Chicago Board of Election Commissioners. While the number of voters usually drops after the 8 a.m. rush hour, Hernandez said, as many as 45,000 Chicagoans were showing up per hour throughout the day. In suburban Cook County, voters, especially women, also took advantage of early voting. 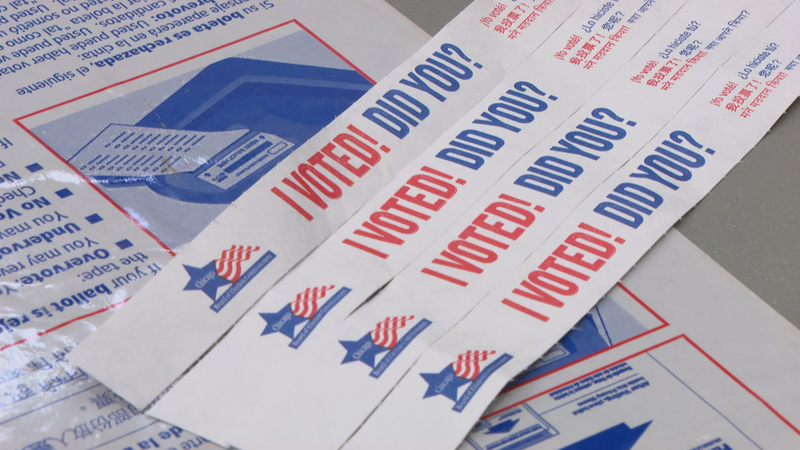 “Early voting was a smashing success,” said Cook County Clerk David Orr. “You get a much higher turnout during a presidential [election] than a gubernatorial. But the turnout for this early voting period actually beat out two previous presidential elections,” he said. But a few problems crept up at a few Chicago polling places Tuesday, resulting in five precincts being kept open for at least one hour after the polls closed at 7 p.m. Officials say minor equipment snafus and a shortage of judges, along with two judges dismissed after arriving inebriated, all contributed to the delayed closing. In about three dozen Chicago precincts, judges failed to give voters the full ballot. Unlike early voting which was all done on touch screens, voters in Chicago on Tuesday had the option of paper ballots—an option 90 percent of Election Day voters reportedly pick. Because the ballot was long, it was printed on two sheets, one containing the candidates, the other with judges and referendums. In 32 precincts, election judges failed to give out that second sheet known as the B ballot. But the Chicago Board of Elections says the problem was rectified quickly and early. It’s not immediately known how many voters might have been impacted. Cook County also says it had some minor equipment problems as well as several hundred judges—out of about 7,000—who withdrew from taking part.